I sure hope your weekend has started off on a happy note. Today I am sharing my Saturday Inspiration post with Morgan's Art World and the theme is Beachy Keen or Summertime. 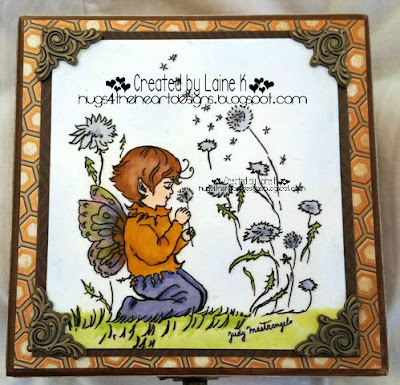 This image by Judy Mastrangelo called "Dandelion Elf" melted my heart and I wanted to make a jewelry box. It was a lot of fun to make and I am going to give it as a gift to a dear friend of mine (she doesn't know yet). (I also used chalks to color the blue sky and part of the grass). First, I lightly sanded the box and painted it brown. 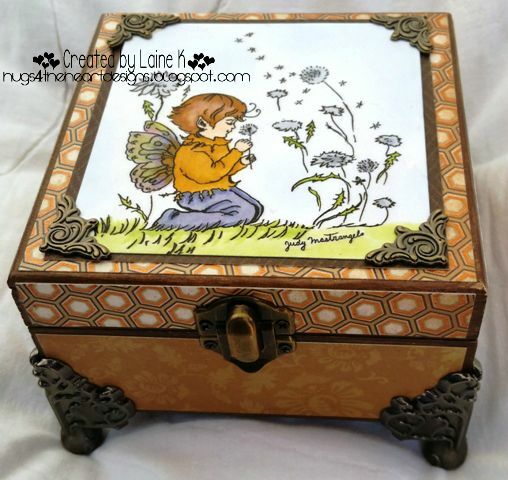 I added various Cardstocks to the front and inside of the box using Mod Podge. 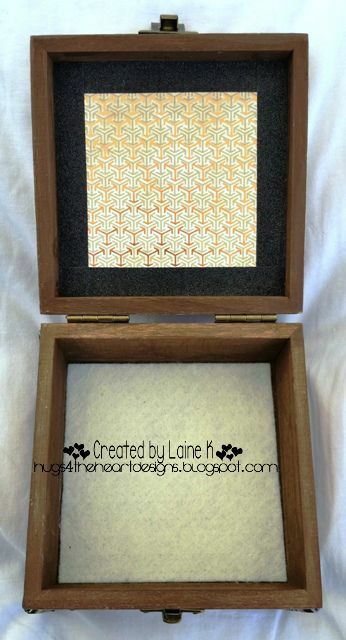 I also lined the bottom inside of the box with felt. Added the image to front and sealed with Mod Podge. Used small metal decorative pieces on each corner. Added the metal legs to the bottom of the box with thick glue and two small screws. 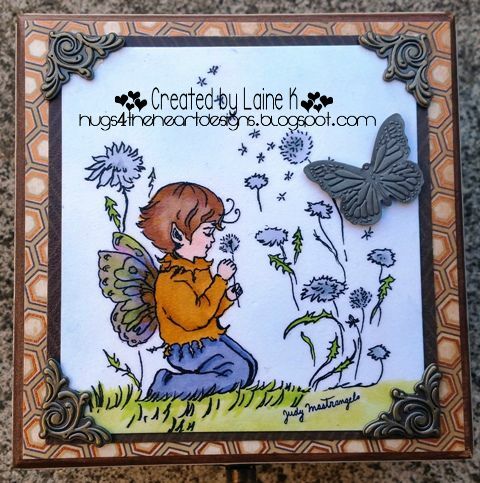 I went back an added a metal butterfly to the front of the jewelry box. To be honest, I am not sure if I like the butterfly on it or not. Which do you like best? Thanks so much for stopping by - I always appreciate it. There is still time to join in the challenge at Morgan's Art World. The theme is Beachy Keen or Summertime. I am looking forward to seeing your projects.